By adopting SSCNET III (optical communication), a complete synchronous system can be configured by using the high-speed serial communication with cycle time as fast as 0.44ms between the controller and servo amplifier. SSCNET III can be set up just by inserting a dedicated cable (fiber-optic cable) into connectors, resulting in reduced wiring and preventing possibility of wiring error. Thanks to the optical communication, noise immunity has been greatly improved, and long distance wiring is made possible by up to 800m (maximum of 50m between stations x 16 axes). 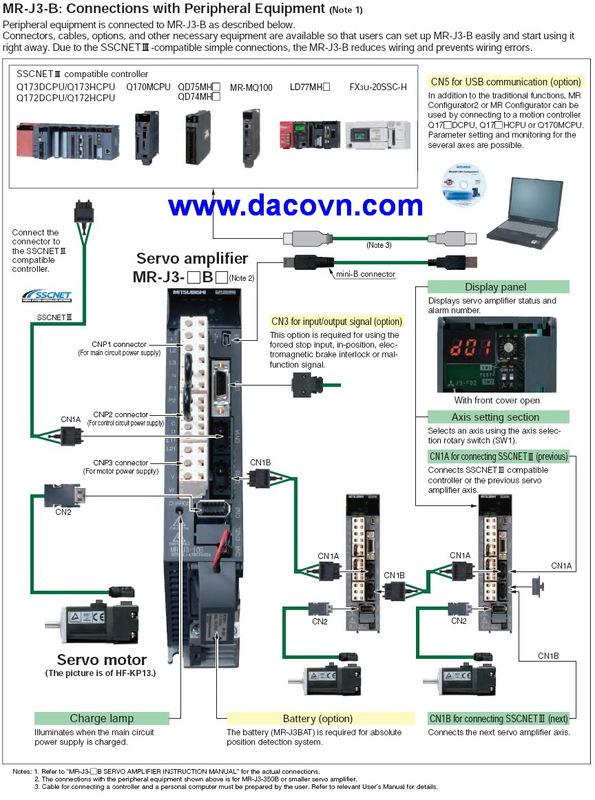 Fully closed loop control compatible servo amplifier is also available (MR-J3-B-RJ006). Torque drops when the power supply voltage is below the specified value. 2. For torque characteristics when combined with a servo motor, refer to the section “Servo motor torque characteristics” in this catalog. 3. Optimal regenerative resistor varies for each system. Select the most suitable regenerative resistor by using the capacity selection software. 4. Refer to the section “Options ●Optional regeneration unit” in this catalog for the tolerable regenerative power (W). 5. Servo amplifiers without an enclosed regenerative resistor are also available. Refer to “Servo Amplifier Model Designation” in this catalog for details. 6. The value in ( ) is applicable when the external regenerative resistors, GRZG400-MΩ (standard accessory) are used with cooling fans (2 units of 92 ✕ 92mm, minimum air flow: 1.0m3/min). Note that change in parameter No. PA02 is required. 7. 0.15A is the value when all of the input/output points are used. The current capacity can be stepped down according to the number of input/output points in use. 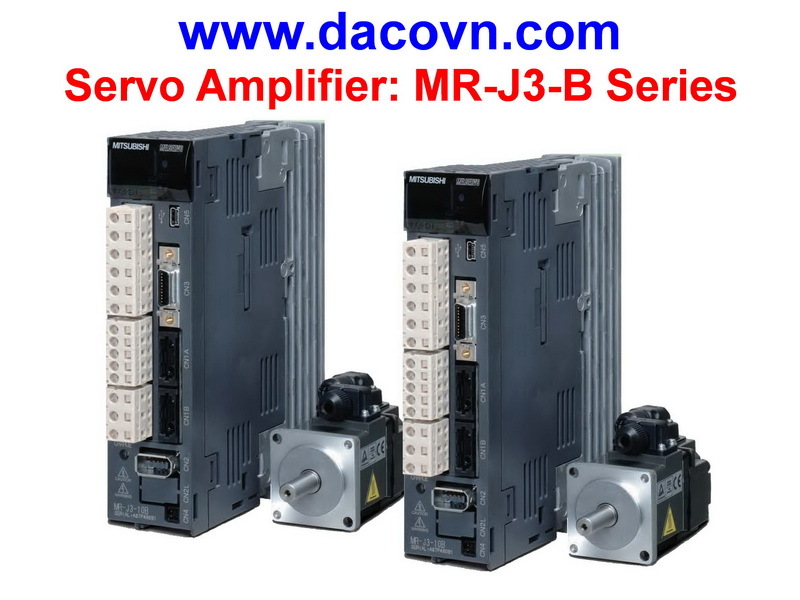 Refer to “MR-J3-MB SERVO AMPLIFIER INSTRUCTION MANUAL” for details. 8. Special specification servo amplifiers without a dynamic brake are also available: MR-J3-MB4-ED. When using the servo amplifier without a dynamic brake, the servo motor does not stop immediately at alarm occurrence or power failure. Take measures to ensure safety on the entire system. 9. The servo amplifier built-in regenerative resistor is compatible with the maximum torque deceleration when the motor is used within the rated speed and the recommended load to motor inertia moment ratio. Contact your local sales office if the operating motor speed and the load to motor inertia moment ratio exceed the rated speed and the recommended ratio. 10. When using the built-in dynamic brake, refer to “MR-J3-MB SERVO AMPLIFIER INSTRUCTION MANUAL” for the permissible load to motor inertia moment ratio. 11. Use an optional external dynamic brake with the servo amplifier. 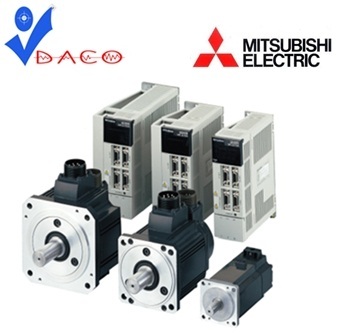 Without the external dynamic brake, a servo motor does not stop immediately at emergency stop and falls in free-run status, causing an accident such as machine collision, etc. Take measures to ensure safety on the entire system. 1. Use this servo motor when increasing the maximum torque. 2. Use a dedicated servo amplifier MR-J3-MA(4)/B(4)/T(4)-LR/-LW for HF-JP11K1M(4) and HF-JP15K1M(4). These servo motors cannot be used with any other servo amplifiers without “-LR/-LW”. *The drive unit and the converter unit conform to EN, UL and c-UL standards.